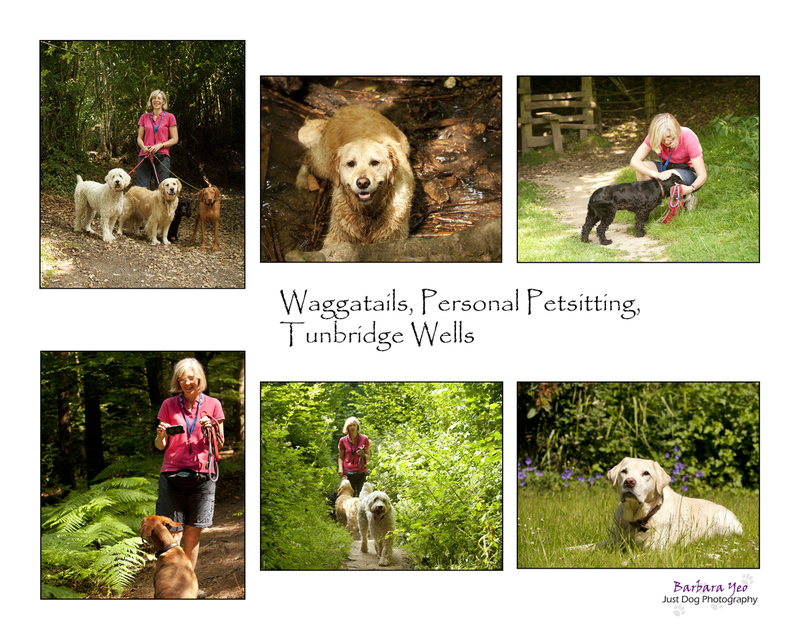 This month’s Dogs In Business blog let me meet up with my friend Carolyn Gordon, the owner of Waggatails a Personal Petsitting business in Tunbridge Wells. Waggatails has been up and running for 8 years now, of which I have known Carolyn nearly 4 years. Carolyn owns “Robbie” a now elderly Labrador gentleman who prefers not to join his owner on her long walks. Carolyn frequently walks in Ashdown Forrest, picking up clients dogs in Groombridge on the way, or local walks in Tunbridge Wells, with the occasional change of scenery to Haysden Country Park in Tonbridge. Carolyn is very passionate about the dogs she walks and boards, as you can tell from her Facebook page where she regularly posts pictures of what her clients dogs get up to (including dogs birthday celebrations!). Don’t miss out and also follow Carolyn on twitter. Another part of Carolyn’s business is to look after clients cats. Being a cat owner herself she not only goes to make sure your cats are watered and fed whilst you are away, but also gives lots of cuddles and attention to them! 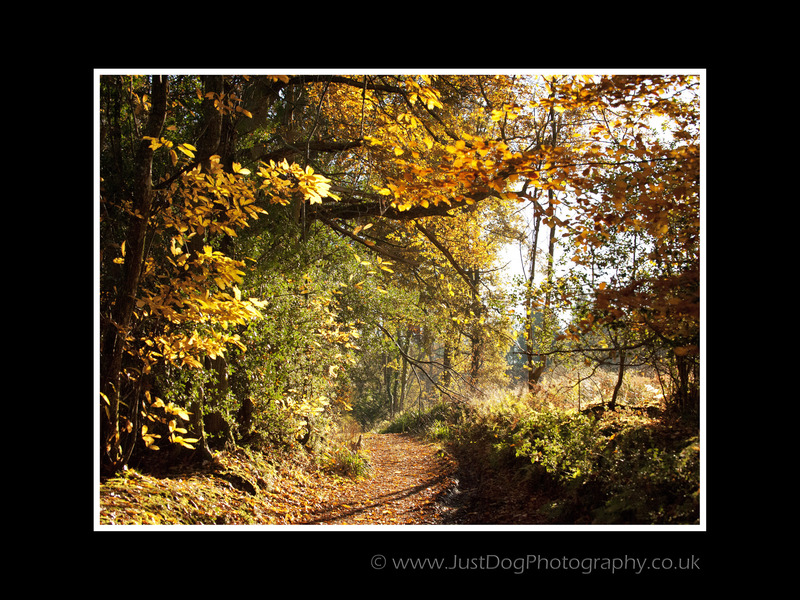 Did I wet your appetite for this #DogsInBusiness blog in my last Sneak Peek? Here it is! “Dobby” the Jack Russell Terrier puppy travels with Tom every day, and he tends to curl up on the passenger seat waiting patiently for Tom to return from his client. 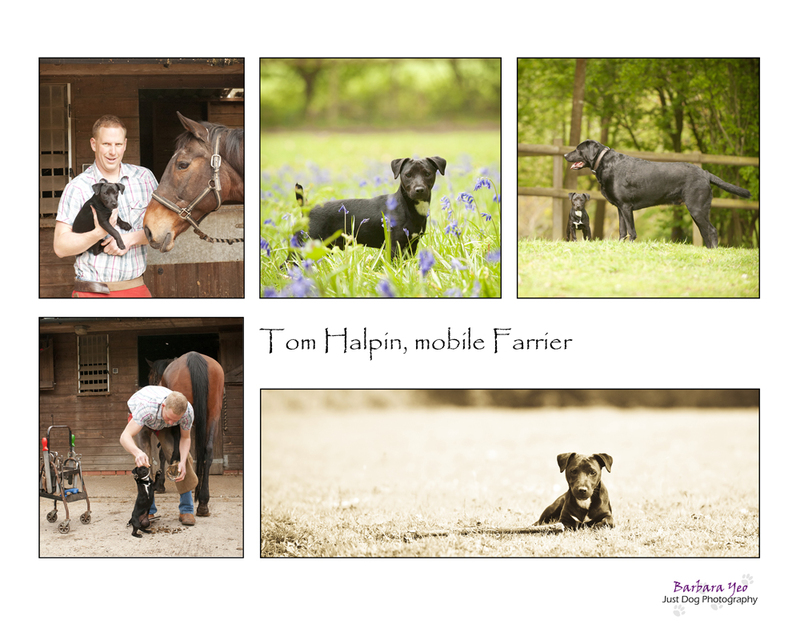 Tom has undergone a 5 year training and he qualified in 2007. His client base is about 20 miles around Tunbridge Wells (servicing areas like Crawley, Crowborough, Ashdown Forest, Biggin Hill, Meopham, New Ash Green to name a few) and he is also traveling to meet his clients needs in France and in America. Phew, luckily my Blog was saved! 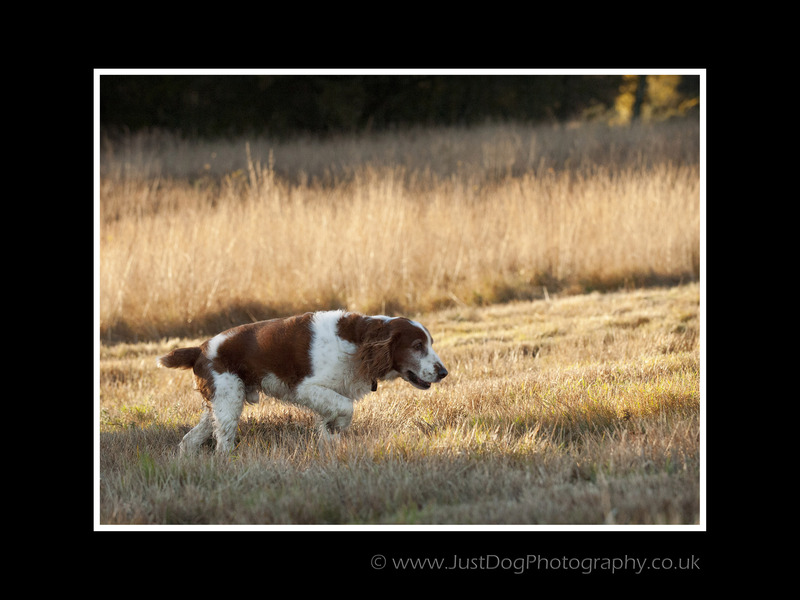 As promised yesterday, here is Dog Photo Blog for this week! 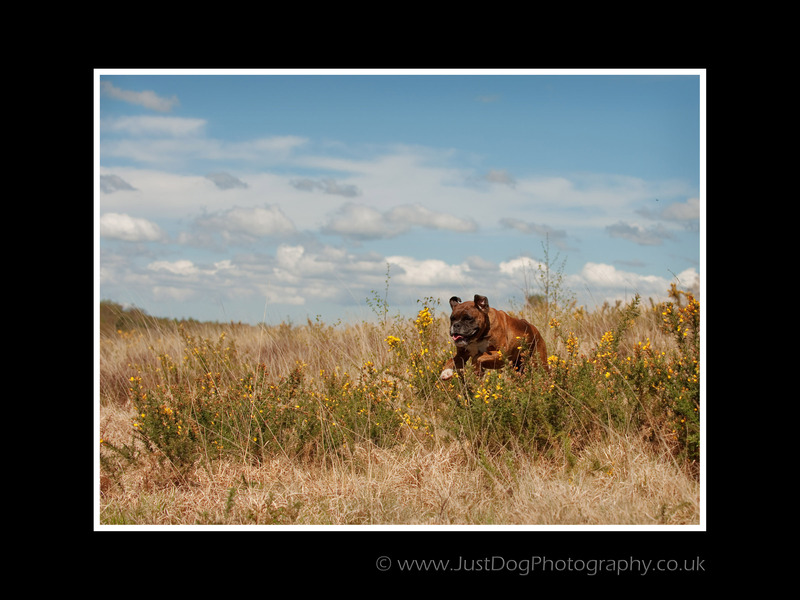 This dog portrait was taken in Ashdown Forest. Normally when I take photographs, I exclude the sky. However on this day the sky was just too beautiful too resist! This gorgeous boxer is called “Maggie”. This breeds personality is active, positive, strong and fun loving. In many ways a Boxer is an ideal family dog as it is gentle as a lamb with children and due to the breeds muscular appearance it makes an excellent house protector. Just beware of its lifelong puppy-like behaviour! This weeks dog photography session was with another client of Waggatails, a local dog boarding, dog walking, dog day care (and even cat care) service. Some of Carolyn’s clients, who is based in Langton Green, Tunbridge Wells, live out as far as the Ashdown Forest. Should you require any of the services offered by Waggatails, you can give Carolyn a call on Tel: 07763 216139. She quite often walks the dogs together with a fellow dog walker and pet sitter Tabby Barker. You can reach Tabby on Tel: 07885 156081. I can strongly recommend both of them. The dogs in their care get on really well together and it is almost like a nursery, where the dogs come together for a nice play date. “Inca”, a regular of Carolyn’s, is a black Labrador, who is just getting over a deep cut on one of her legs caused by a bottle left behind in the woods. Despite her being wounded, she had a jolly good time on this foggy Friday. 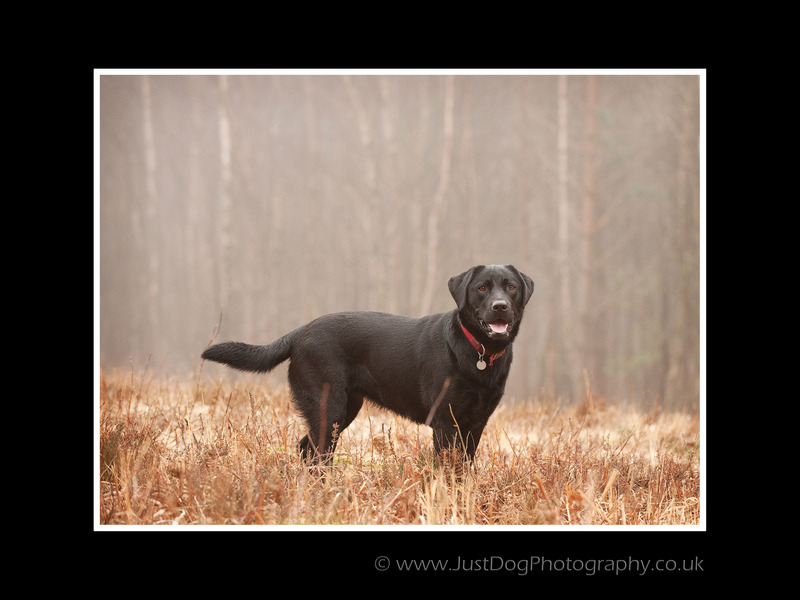 With a total of 9 dogs being walked, I am very happy with the resulting images of Inca just on her own.